Holly Bishop earned a double Bachelor of Music degree in bass performance and music education from the Bob Cole Conservatory of Music, as well as a credential in music education. She has performed with orchestras across Southern California and New England, including the Debut Symphony, YMF Symphony Orchestra, Golden State Pops Orchestra, and the Mostly Baroque Players. She has also enjoyed performing in California, Florida, New York, and Connecticut with Cuatro Puntos. She has performed at notable venues such as Carnegie Hall in New York, Disneyland in California and with orchestras such as the Pacific Symphony. Music education is Holly's passion, and she has worked to support music education at home in New England, as well as abroad. As education coordinator for Cuatro Puntos, she partnered with the United Way of Central Connecticut to help create a summer music course for at-risk students in New Britain. She also traveled with Cuatro Puntos in the summer of 2013 and 2014 as part of their music outreach tour, and helped give masterclasses and lessons to students in Tarija and Cochabamba, Bolivia Holly has also been a guest artist at the Afghanistan National Institute of Music in Kabul Afghanistan, where she also performed alongside her students in a symbolic and ground-breaking chamber music performance held in Kabul. Holly is co-founder and music director of the Connecticut Music Educator’s Association (CMEA) Elementary Honor Orchestra. 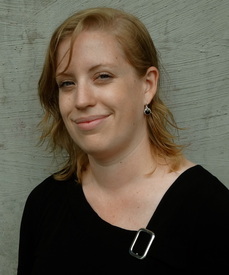 She has been on the summer bass and chamber music faculty at the Wildwood Summer Music Institute in California, the Strings Del Rio Festival in Arizona, and the Afghanistan National Institute of Music in Kabul, Afghanistan Holly currently teaches elementary and middle school music in Middlebury, CT.